Come experience the magic of Crystal Bridges this winter! Here’s how to make the best of your day at your museum! Happy Hour Part 2 starts next week at all Foghorn’s locations. From 8-9 M-F, guest can get $2 drafts, $2 wells, and $2 off appetizers. 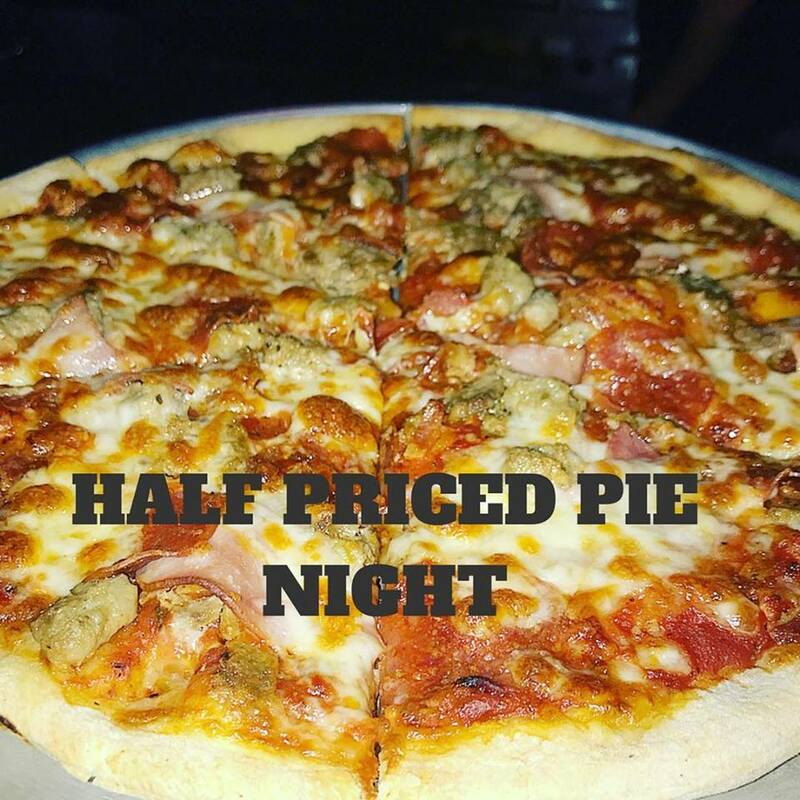 Some of the best pizza in Fayetteville is half price on Monday nights at Mojo’s Pints & Pies! Details. ONF has classes coming up on quick & easy chicken recipes, New Year’s Day foods, and more! TheatreSquared’s holiday show, Miss Bennet: Christmas at Pemberley is now playing at Nadine Baum Studios! On your Feet, the Gloria and Emilio Estefan Story, is playing at Walton Arts Center this week. Tickets are here. Hugo’s has some rare and delicious barrel-aged beers this week. Check out Lights of the Ozarks. Drink cocoa. Eat pizza at Damgoode Pies. Get your crust stuffed with mozzarella cheese for just $2 with any pizza at Eureka Pizza. 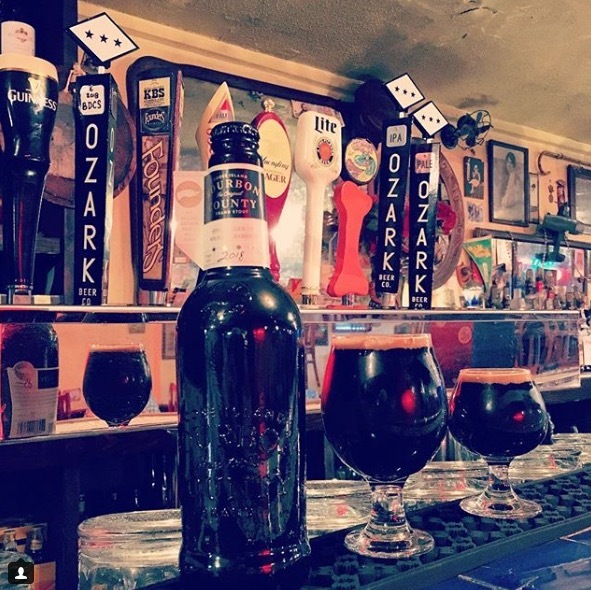 Hugo’s will start the week with Founders’ KBS and Ozark’s BDCS on tap, plus Goose Island’s Bourbon County in bottles this week! Need smoked turkey, ham, or salmon for your holiday gathering? Call Penguin Ed’s! Taziki’s just unveiled anew loyalty program. 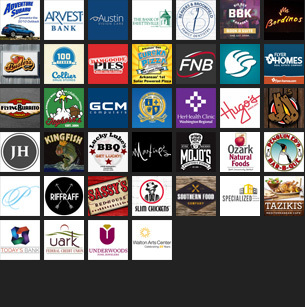 Earn points every time you visit! Details. Need a spot for your holiday party? Look no further than Wood Stone Craft Pizza. 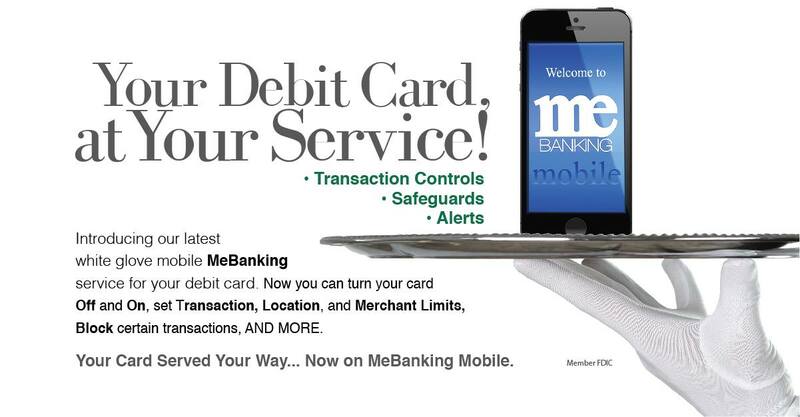 With new transaction controls, safeguards, and alerts on debit cards, Bank of Fayetteville is your white glove mobile banking service. FNB NWA is proud to announce that Tanya Mims is joining the bank as their Fayetteville President! For more information regarding UARK Federal Credit Union’s vehicle loans, contact one of our Loan Officers at 800-499-8328 or simply fill out the Loan Application to get pre-approved. Looking for a career change? Fayetteville boutique Something Urban is seeking a new owner. Need gift ideas? Check out these staff picks from the folks at Underwood’s!